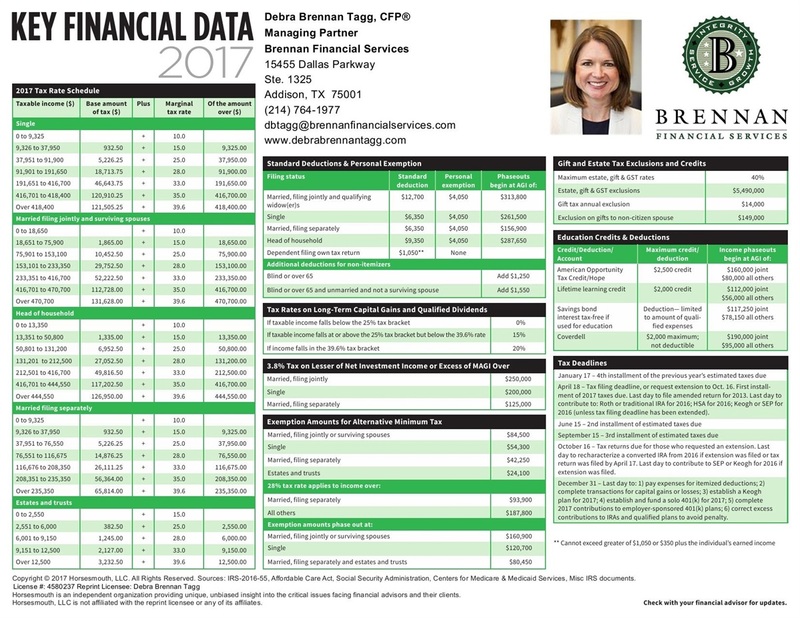 As you review your income and taxes for last year and plan ahead for 2017, attached is our Key Financial Data update for this year. We include information for all ages and stages of life, including tax rates, deductions and exemptions, capital gains, alternative minimum tax, gift and estate tax, deadlines, retirement plan contributions, Health Savings Accounts, long-term care, Medicare, Social Security, and required minimum distributions. 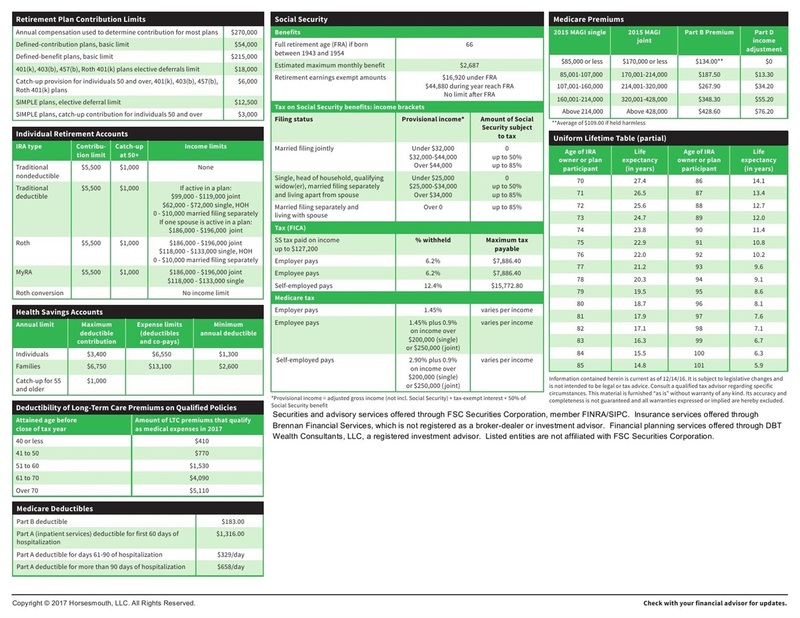 We encourage you to print a copy for your reference, and share it with family and friends who may find it useful.